We hope you had a wonderful Thanksgiving. The children enjoyed our Thanksgiving service and their Friendship Breakfast. In addition to the thankful notes collected and read during the Thanksgiving service, St. Martin’s Kindergarten-3rd grade students also reflected on what they were thankful for during their computer classes. Our thanks to everyone who attended our barbecue on November 13th. The event was to kick off our fundraiser for re-paving the playground/parking lot/basketball court. By now you should have received a letter from Fr. Gabri and a brochure explaining our plans. So far we have received approximately $10,000 towards the $20,000 we need to raise. The total cost will be approximately $40,000 and three incredibly generous Church families will match our donations up to $20,000. Please consider making a donation and if you would like copies of the letter to send to grandparents, family members, friends, etc., who you think might make a donation, please call the office. 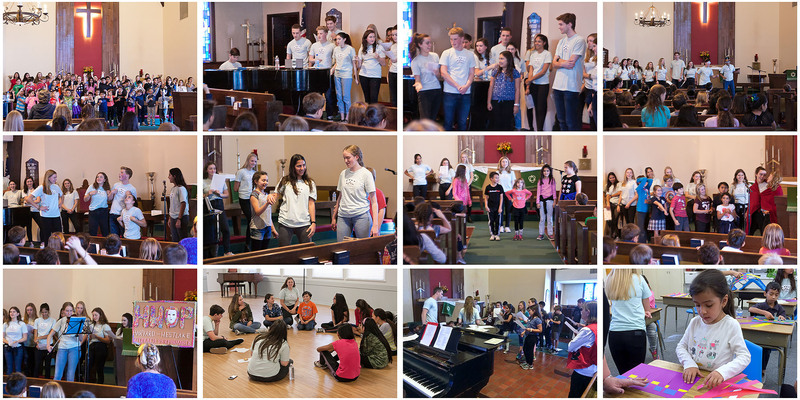 Also in November, Harvard Westlake drama students performed a Variety Show followed by workshops for the children and these were enjoyed very much by everyone. Harvard Westlake art students are also giving after school art lessons to our 4th-8th Grade students. These are also enjoyed very much by St. Martin’s students. 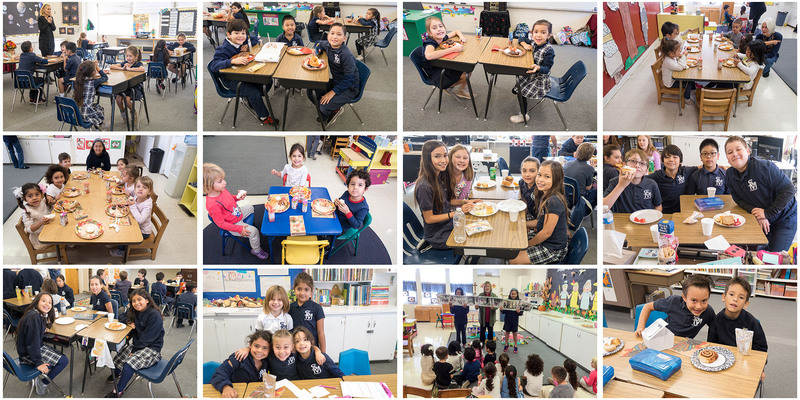 We are so grateful to the wonderful Harvard Westlake students and staff for all they do for us. If you would like to make a donation to Annual Giving before the end of the current tax year, please send donations in before December 31st. They will be very much appreciated. Annual Giving bridges the gap between tuition income and the actual cost of operating the school and is an important fundraiser that allows our school to flourish and grow. The school is also offering “Tribute Cards” this year and you can purchase these in the office or call us and we will send them home with the children. These are small cards that you enclose with your Christmas cards stating that a donation has been made to the school in honor of the recipient. Suggested donations for the cards are $5 each or 5 for $20. This is a thoughtful and caring way of showing your support of the school to friends and family.